Lavish your home in comfort. The R6 is the woodburner de luxe. Loaded with features to make your life easier, this family-sized stove boasts a generous heat output from a sleek, modern flatscreen. Designed to meet the highest standards, this is one of the finest stoves in the country. Using the very latest technologies, the three-sided R6 is at the top of its class. 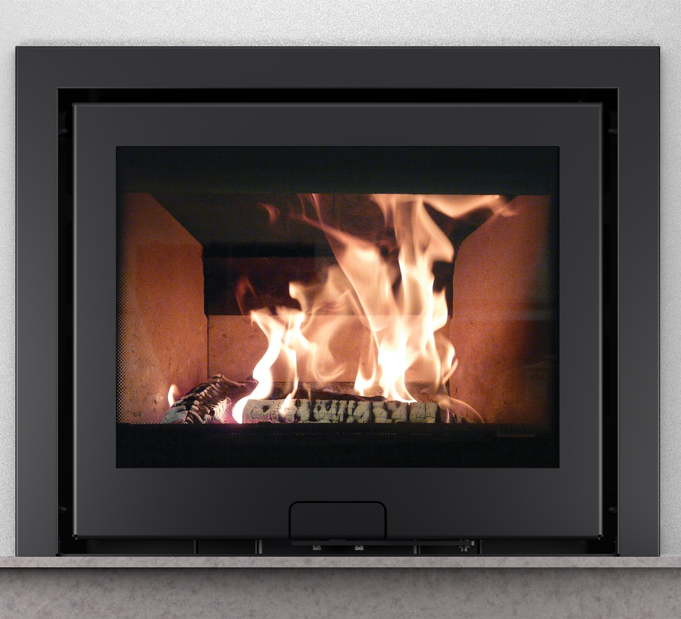 It's designed to sit on a hearth, with a maximum output of 12kW that's plenty for a large living space. TripleBurn Plus improves ignition, which increases fuel economy and reduces emissions to a startlingly low 0.2%. A hot airwash keeps the glass clean. And finally, we've added a patent applied for control panel that opens at the lightest touch. You'll be proud to have this magnificently modern stove burning in your hearth.